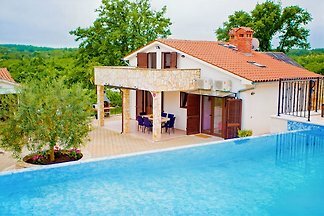 Apartment for 4-6 persons with a pool in beautiful green Istrian countryside. Attractive villa Ulmus, a modernly designed villa with elements recognizable for the Istrian region is located in municipality Karojba, only 7 km away from town Motovun. Villa Fiore Spinovci is a newly built country house with swimming pool located in the green interior of Istria with beautiful views of the medieval town of Motovun and hill. Magnificent villa with pool and spacious interior. 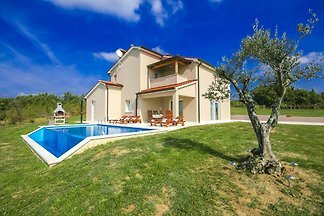 Holiday house with pool and fantastic views near the mountain town of Motovun. 3 bedrooms for up to 8 people. from 5 2 holiday homes & accommodations in Karojba were rated with an average of 5 out of 5 stars ! Rent successfully your holiday flat or holiday home in Karojba in only 20 minutes !